In 1895 Burswood Island was rough farmland and accessible only by boat. It was this piece of land which two years earlier attracted three enthusiastic officials of the WA Houses of Parliament. These gentlemen had had some previous experience of the game of golf either interstate or overseas, where the sport was already better established. One of the three had a boat, which they would use to go to the island on Sunday mornings to hit golf balls among the spreading cape weed and wire grass. Predictably, others joined the original three and the notion of forming a golf club grew quickly. In August 1895, 12 players met at the Government House ballroom to discuss the formation of a club and the acquisition of links. As Royal Perth historian Jack Lee wrote: “They can truly be said to be the founders of golf in WA”. The club’s fortunes moved rapidly from that point. Before the year ended, a nine-hole course – known as The Links – had been laid out at the eastern end of the island and opened in picnic fashion. By October the following year eight competitions had been held. While records of those early days are sparse, it is clear that Burswood Island was to have limited appeal to the burgeoning club. Apart from the roughness and associated weed problems of the terrain and periodic river flooding, getting to and from the island in an old rowing barge was an energy-sapping means of transport before and after a game. Just five years later, in 1900, a more suitable site was selected at Grove Farm, Belmont, and a nine-hole course established. Par figures for the nine totalled 48 and included one par-7 and four par-6s. As a matter of record, the first competition over 18 holes was won by G. Field who, on a handicap of three, came in with a nett 116. As with Burswood Island, the stay at Belmont was to be fairly short-lived. Already by the third year members were complaining about the location and the condition of the course and ultimately, lack of security of tenure tipped the balance in favour of searching for a new venue. 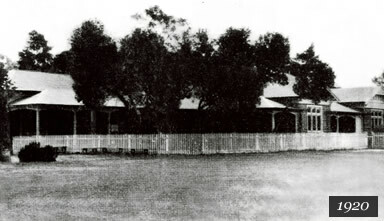 On August 2, 1908, just 13 years after the club had been founded, the Governor of Western Australia, Sir Frederick Bedford, officially opened the new course on its present site. It consisted of nine holes and large areas of sand, a sufficient hazard to make bunkers unnecessary and the use of red golf balls almost mandatory. 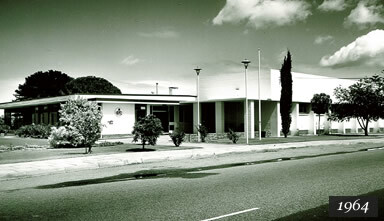 The following year the Perth Ladies Club was formed. Some 50 associates, who played midweek, often had to share the fairway with a flock of wandering sheep acquired specially to keep the grass at reasonable height. These “fairway mowers” were supposed to be yarded during the day but often wandered off when their young minder fell asleep. 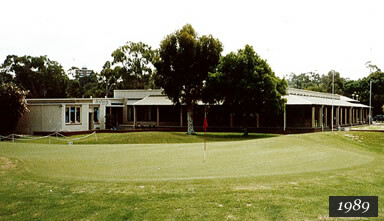 The first clubhouse was built in 1914, by which time the course had been extended to 18 holes. 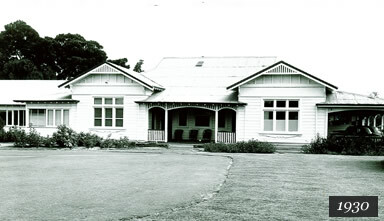 The clubhouse – a two-room shed with a verandah – was built on a half-acre of land which, unlike the course itself, was bought on a 99-year lease (and was subsequently bought outright by the club). The actual course remains crown land vested in the City of South Perth which will come up for renewal in 2010. In 1914, the course was a par 77 (36 and 41) which included six par-5s and two par-6s. Immediately after the war ended in November 1918, the club grew rapidly, with new membership boosted by the committee’s decision to reduce the entrance fee to one guinea. The club professional, Percy Maunder, returned from the war and was reappointed on a weekly retainer of one pound. Flush with funds (with a credit balance of 700 pounds) the Club spent 300 pounds on clubhouse extensions. Royal Perth was not without its smaller problems, however. One was the habit of members pouring their own drinks and, without using the correct measure, erring on the generous side. The committee put a stop to this by buying 36 small decanters which contained the correct measure. The caretaker’s chickens created another. The following year, 1937, was a memorable one. 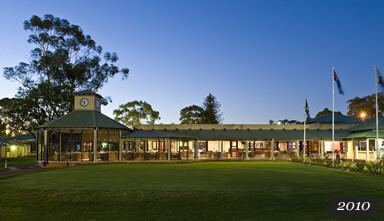 It was when the club was granted Royal Charter, an honour shared by only one other WA golf club – Royal Fremantle. 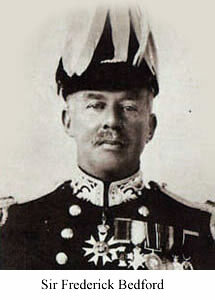 The message proclaiming its new status was received from the Governor, Sir James Mitchell on behalf of King George VI. 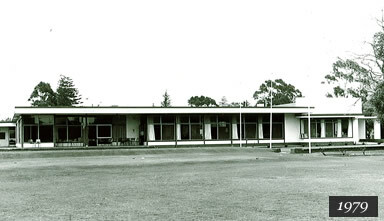 THE REAL story of Royal Perth Golf Club is, like all vintage golf clubs, about people. There are players and there are characters and there are stories, which become legend. Royal Perth has had its share of them. It has had its champions, too, and is very proud of the calibre of young players who are today making a name for themselves at national level. But it is the many members past and present, with handicaps long and short, whose love of playing the game at Royal Perth has left the Club with an indelible spirit of good friendship and good sportsmanship. Some golfers have practically made Royal Perth their home, playing there most days of the week; and there are those whose enduring relationship went to the grave with them, their ashes buried beneath the trees. In 1995 the 1,100 members of Royal Perth can look back on the Club’s past 100 years with pride and gratitude, knowing that the facilities they have today did not come easily but are, nevertheless, the legacy of those many people who once enjoyed the game as much as they do themselves. Women golfers in Western Australia owe a lot to a teenage girl called Gipsy Low. In 1905, at the age of 19, she was directly responsible for bringing women into the sport in WA for the first time. Miss Low, who was born in Sydney and learned to play golf in Geelong, Victoria, was dismayed when she moved to Perth in 1905 to join her family and found golf was still only a ‘men only’ affair. Being a pro-active young miss, she decided to join the men, then playing at the Club’s second venue, at Belmont. Soon she persuaded other women to go with her, travelling by horse drawn coach to Belmont. Thus Miss Gipsy Low, later to become Mrs Auber Neville she met her husband while playing golf at Belmont), was Western Australia’s first woman golfer and one of the pioneers of the Ladies’ Golf Union, which gave golf a firm foundation in WA. 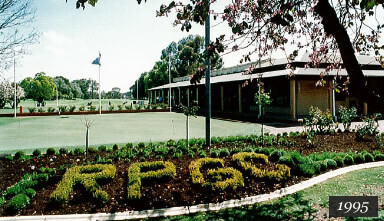 She was ultimately made a life member of Royal Perth. 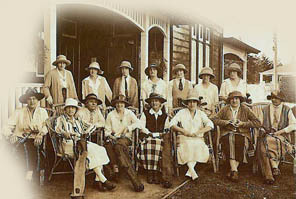 Her involvement was an auspicious beginning for a sport which has produced some notable women golfers in Western Australia, not least from the ranks of the Associates of Royal Perth Golf Outstanding among them have been players who have represented the State or the nation and given great service to the sport and the standing of women’s golf at all levels of play. – Eileen Dawson, who in 1975 was awarded an MBE for her contribution to Australian golf, is one such person. Her accomplishments are too many and varied to detail here. Her extensive competitive successes were matched by a remarkable commitment to the administration of the sport. Except for two years, Eileen played for the State golf team from 1947 to 1969, won the State championship three times, the Australian title once (1959), represented Australia overseas in major competitions at least seven times (during which period she was captain on four occasions) and held many country and district titles as well as various club championship and other titles not least among them Associates Champion of Royal Perth for 10 years. Eileen was president of the national Australian Ladies Golf Union for three years and president and a council member of the State body for many years; she was a selector for national and State players; she organised and conducted many golf clinics; she was both president and captain of Royal Perth Golf Club Associates, and was subsequently awarded life membership of the Club as well as similar honours in recognition of her involvement in other golf associations throughout Western Australia. Maxine Bishop is another legend in the history of women’s golf at Royal Perth. Maxine won the Australian championship (in 1951) and was twice runner-up. She won 11 Western Australian and three Victorian championships and was nine times Associates Champion of Royal Perth. 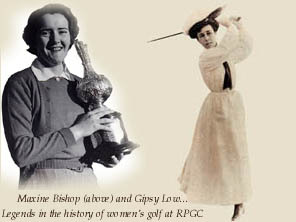 Maxine also played competitive golf overseas as a member of the Australian touring teams to Great Britain (1950) and South Africa. In addition, she competed against New Zealand on five occasions in the Tasman Cup series. Among the many other Associate members who have achieved notable success at Royal Perth two names stand out – those of Val Gmeiner and Jane Hayter. Val was four times State Champion (in 1963, 1970, 1972 and 1979) and was Australian captain in the Tasman Cup challenge in 1975. English-born Jane represented England at junior and senior levels from 1954 to 1956, and was the women’s Sussex champion in 1956 and 1959. She was Associates captain in 1979-80 and president in 1983-84.